There comes a time where you pass the threshold of simply being a gamer to one of the gaming elite. It takes a lot of practice, but once you’re there, you can’t really go back. You’re not only aware of issues within each game to a more severe degree, but you also understand how important your tools are when facing a foe of equal level. When it comes to mobile games, the competition is not nearly as stiff as PC, but there are those who want to have the right tools at hand. 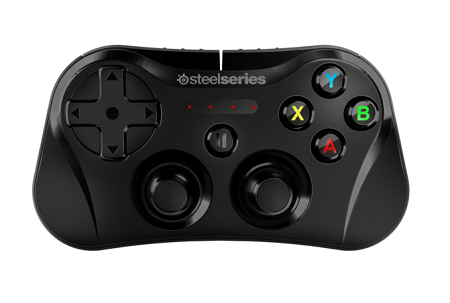 If you played more on console, but find yourself addicted to mobile games, then the Steelseries Stratus seems like it might be worth having in your gaming utility belt. This is very sensitive to pressure, has extended battery life, and uses LED notifications to let you know how you’re doing in-game. Appearance-wise it looks like an Xbox and Playstation controller melted together. It’s said to work with iOS 7 or later, the iPhone 5, 5c, iPad Mini, iPad Air, as well as the 5th gen of the iPod Touch. It’s only available for preorder at the moment at around $100, but will be shipping out in the next month or so. Seeing that there aren’t as wide of a variety of games available on Mac as there are on PC, this doesn’t seem like a great idea unless you’re just really an Apple fan.